More than 1,200 archaeologists and museums across the nation have called on the federal government to stop the desecration of the Standing Rock Sioux Tribe’s sacred sites. 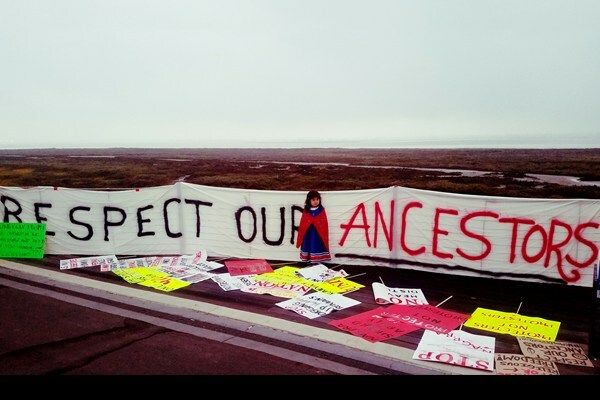 In a letter sent yesterday to President Obama, the Department of Justice, the Department of the Interior and the U.S. Army Corps of Engineers, they urged the completion of a full Environmental Impact Statement and cultural resources survey along the pipeline’s route. The statement below from Dave Archambault II, Chairman of the Standing Rock Sioux Tribe, can be quoted in part or in full. The federal government has failed in its trust responsibility to the Standing Rock Sioux. The U.S. Army Corps of Engineers is a federal trustee, responsible for upholding our treaty rights. The Corp’s failure to hold meaningful consultation with our Tribe before approving construction of the Dakota Access Pipeline is a violation of our rights. Their failure to conduct a survey of cultural resources is also a violation of our rights. Because of the Corps’ failure as a trustee, our people have suffered a loss beyond measure. Our ancient burial sites, the places where our Lakota and Dakota ancestors were laid to rest, have been destroyed. Imagine a bulldozer running through your family’s cemetery. It is unimaginable. Yet this is what the Corps has allowed. Our water, our resources and our lives are at risk because of this pipeline. Our sacred sites can never be replaced. We are grateful to the more than 1,200 historians, archaeologists, historians and museum workers who understand the value of our sacred indigenous sites and artifacts and who stand with us on this issue. The federal government must honor our treaties. The Standing Rock Sioux Tribe will not stop fighting until our lands, resources, people and sacred sites are permanently protected from the destruction of the pipeline. Responses to "Archaeologists & Museums Denounce Destruction of Standing Rock Sioux Burial Grounds"